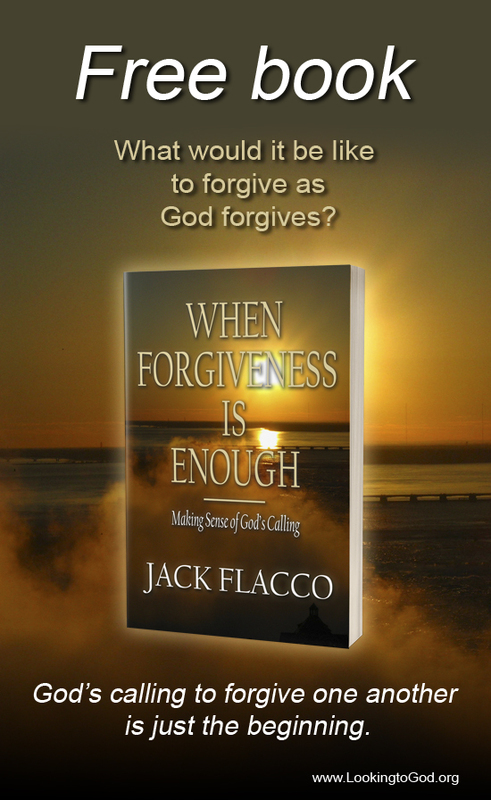 Jack Flacco is an author and the founder of Looking to God Ministries, an organization dedicated to spreading the Word of God through outreach programs, literature and preaching. His message of repentance and forgiveness offers hope for those looking to improve their relationship with others through faith in Christ Jesus. When he is not writing or ministering, Jack spends his time with his wife and two sons, the youngest of whom aspires to become a missionary. His oldest son, who suffers from autism, is learning about God’s ceaseless love for those who follow Jesus. Jack’s wife is a Holistic Nutritionist and a recent graduate of the Canadian School of Natural Nutrition. Jack and his family live in Ontario, Canada, where they dedicate a large portion of their time participating in activities dedicated to managing Autism Spectrum Disorder. Wow! Love your testimony! I had to chuckle about the zombies. I substitute teach at our local public school and the zombie craze there made me realize that we often resemble zombies in our Christian walk–the walking dead! So glad you are now alive in Christ! Thanks for stopping by! Oh, absolutely! If we’re walking in sin, we are the walking dead! Thanks for your comment! Hi Jack – I have enjoyed your posts of encouragement and light. Appreciate the good work you are doing for the kingdom of God and for Jesus. I had to chuckle when I came here and read your brief bio. You see, to me, it makes perfect sense, as I hold that we are all walking dead up until the time we acknowledge and accept God’s gracious gift of reconciliation and eternal life through faith in His Son, Yeshua/IESVS/Jesus, the Messiah/Christos/Christ — our redeemer, savior, and friend. I’m now following your blog and will be back to catch up on some of your previous posts. Thank you for liking my post on renhir movie rating. Thanks for visiting and leaving me a like on “God is Not Rejecting You.” Came over for a browse to get acquainted. You and your wife have impressive talents. May God bless them to his service and your blessings. Hey Jack, thank you for liking my post, I was very happy. Thanks for checking out my post Jack, really appreciate it! Thank you for stopping by and liking my post. Thanks for stopping by my blog, Jack! Have a great week! Jack, grateful for the time you took to take a look and like my recent post, “Do whatcha can with whatcha got!”. Much appreciated! Thank you, Jack, for stopping by my blog recently and liking one of my posts. I hope to navigate your blog more in the future after I get outta here and press that ‘subscribe’ button. God bless you and your family. Don’t feel that you have to answer this, Jack (if you even have time to read comments), but just wanted to let you know that I’m thinking of you and wishing you the very best. Also, I hope you & your family had a peaceful and meaningful Easter. Take care! Hey, thanks for the like over on my best movies post. I’m enjoying your blog as well! Thanks very much. I really appreciate the kind words! Thanks, Jack, for stopping by The Fruitful Life and liking a recent post. I like the look of your page. Will do some ‘shopping’ to see what’s the what. Bless you ! Hi Jack. Thanks so much for liking my post about Exploring Characters. Your site looks pretty awesome, too! Thanks for stopping by. You’ve got some good stuff going on here. Hello, I have nominated you for 3 Days 3 Quotes challenge! Check out my blog for more information!